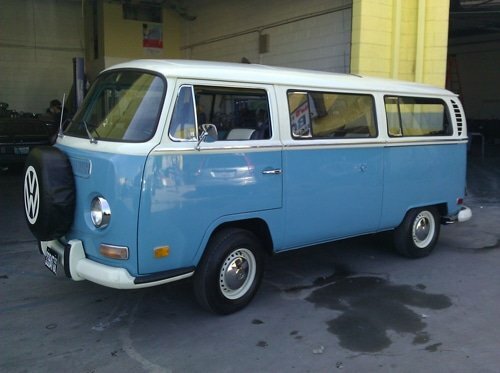 Introducing our latest finished project, a 1969 Volkswagen Bus complete with a hardtop sunroof! We changed out the old front drums to a later model disc brake system, dropped in a brand new dual port 1600 engine, restored the sunroof back to its original state,customized the interior, and upgraded the audio and electrical system. She drives like a dream, is smooth a silk, and ready for the perfect road trip! Got questions? Give us a buzz at 323-842-8393 or drop us a line from our “Contact Us” page and we’ll gladly answer your questions and then some!